Research from The Center for Drug Use and HIV/HCV Research (CDUHR) at NYU Meyers College of Nursing has made an alarming claim about teenage drug use that should be concerning to parents. According to the study, which surveyed 92,000 students who participated in analysis, 327 participants admitted to everyday useage along with up to 5 other drugs. 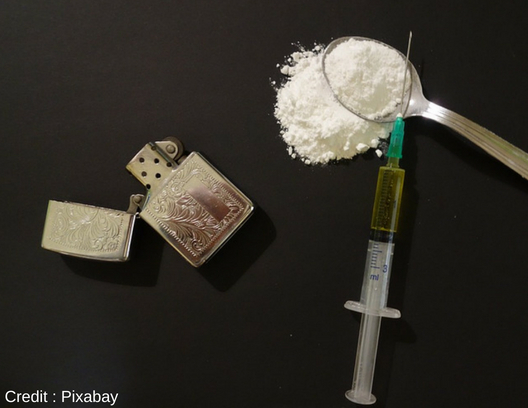 The studies’ authors discovered that high school seniors who utilize heroin likewise typically use multiple other drugs– on average, five others. Using heroin regularly was connected to a boost in using a number of other drugs more often, particularly depressants consisting of other opioids and benzodiazepines. The frequency of concurrent usage of the majority of drugs was considerably higher among those who reported using heroin 10 to 39 times in the previous month. Results showed that the focus should be shifted onto the surrounding drugs used as well; Anxiety medications like benzodiazepines are commonly used in conjunction with heroin use to relieve depressive side effects from the heroin use. But increased use of benzo use with heroin also increases overdose deaths that threaten the lives of young unsuspecting users. Surprisingly, this trend was reversed amongst students who reported the highest frequency of current heroin use. Particularly, those who reported utilizing heroin 40 or more times in the past month actually reported less concurrent use of other drugs, both in regards to variety of drugs and frequency of use. The scientists hypothesize that this drop in use of other drugs might be attributable to the increased costs and requirements related to such high levels of heroin usage. While alcohol was one of the most common drugs consumed among high school elders who use heroin, a lot of levels of alcohol usage were associated with lower chances of regular heroin usage. This aligns with previous studies showing an inverse relationship between heroin and alcohol usage. “It may be inadequate to focus on heroin and opioid use in isolation. Considering users’ overall drug use profiles appears to be important because the concurrent use of multiple drugs can exacerbate adverse health effects associated with heroin use such as overdose,” said CDUHR researcher Joseph Palamar, PhD, MPH, the study’s lead author. “A deeper understanding of how heroin users also currently use other drugs can help us to discern better prevention measures.” He stressed.